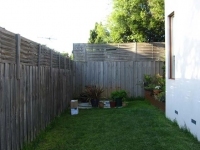 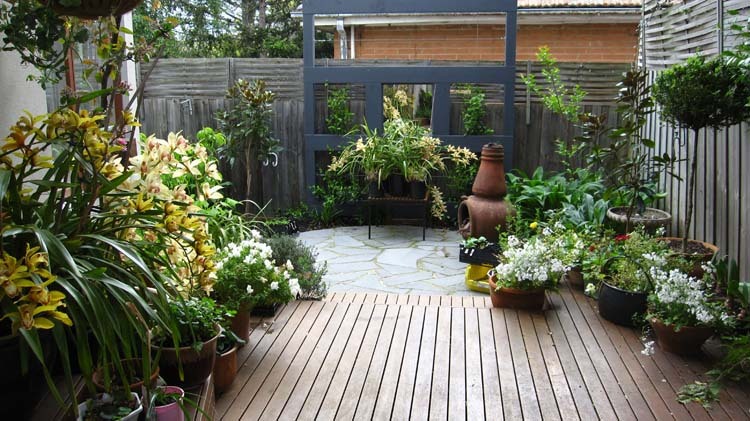 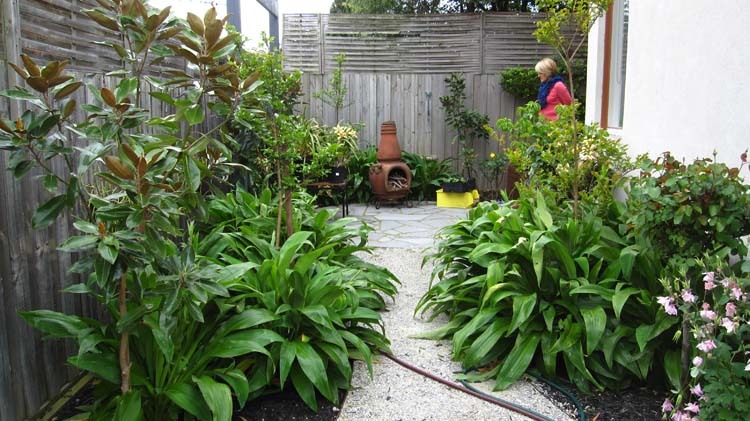 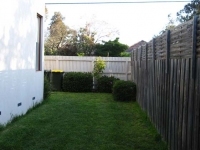 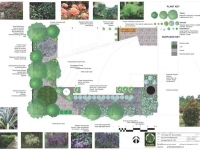 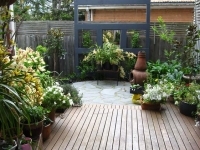 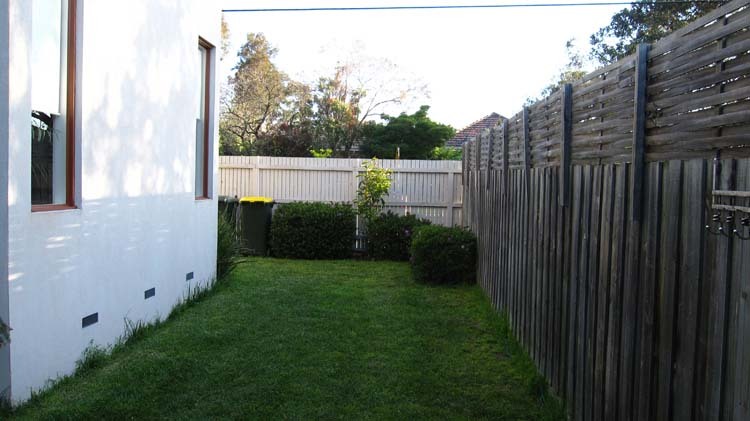 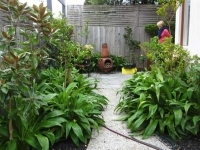 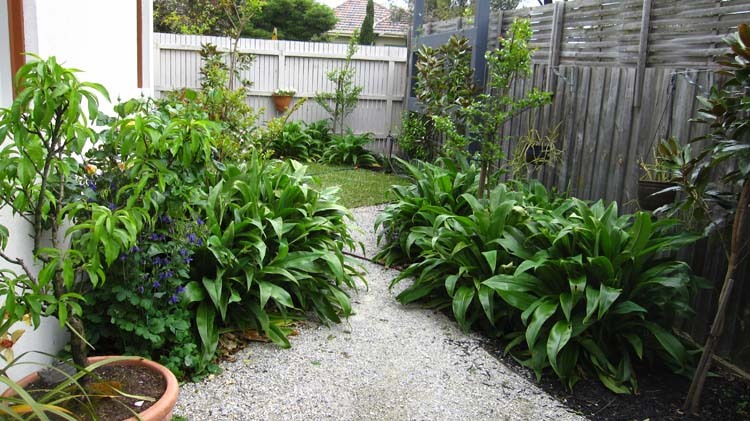 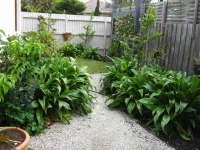 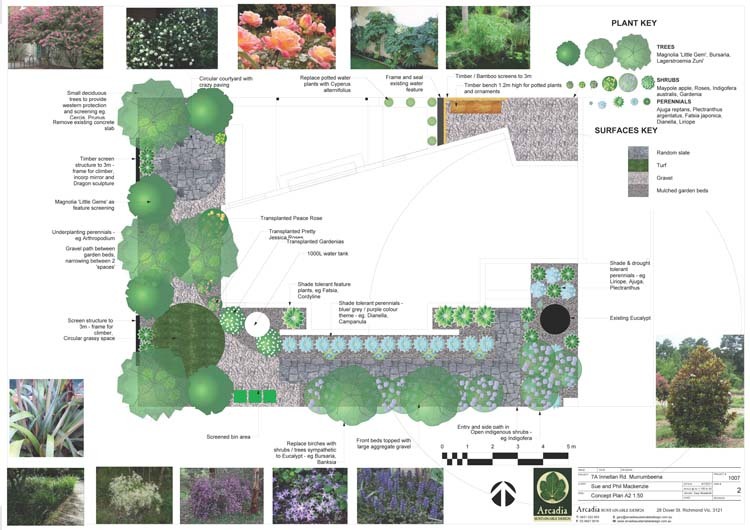 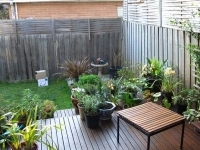 A new garden design increased the garden spaces to create more lush plantings and to provide the opportunity to use plants to screen and buffer the boundary fence and neighbours. 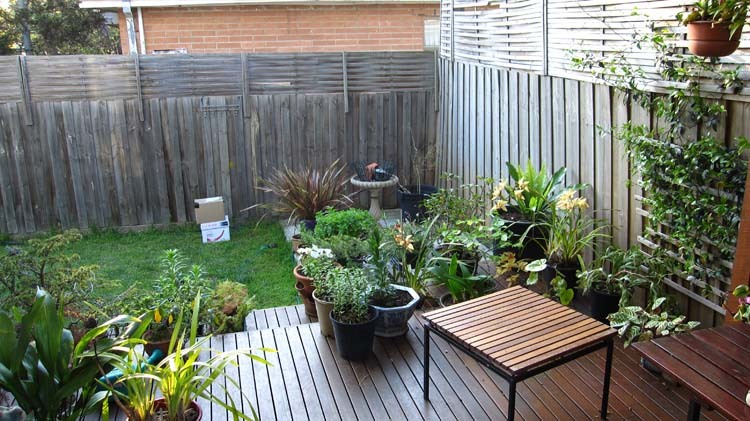 Some paving was included at the end of the deck to improve the space available to sit or gather, but still retaining a small piece of lawn amid the plantings. 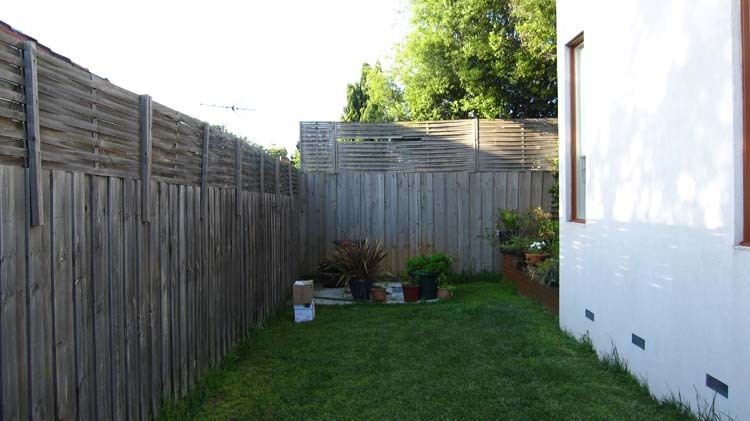 Showing before and after images.